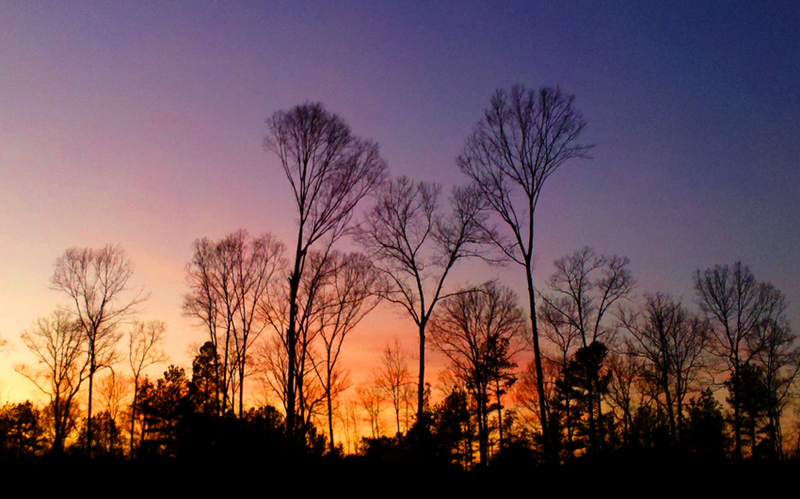 I was driving home when I saw the colors in the sunset peering through the trees. I pulled into a Church Parking lot and took this photo with my Droid 2. With the advent of cameras in cellphones, it is easy to have a camera with you at all times to capture those special moments and be able to share them. 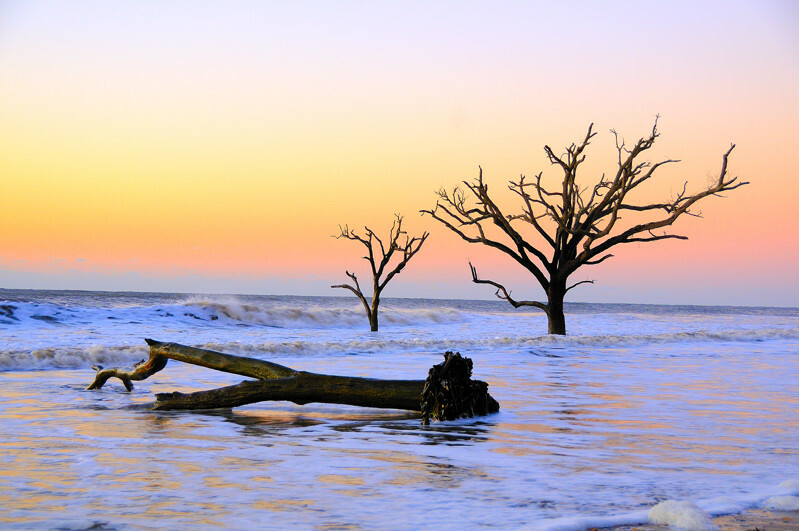 I took this photo on the beach at Botany Bay, South Carolina during the a sunrise. My favorite time is early in the morning just before sunrise, watching the sky and wondering what kind of a sunrise I will see. 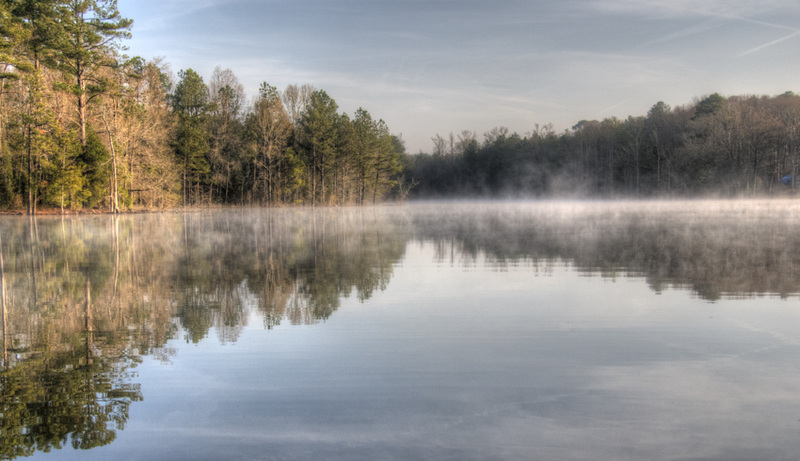 When the weather starts getting cool at night, you will often see fog on the lake in the mornings. The sun was just starting to come up when I took this photo on Lake Murray in South Carolina. The Charlotte chapter of the Carolina Nature Photographers Association volunteers a couple of times a year to help the folks at Tiger World. We helped with painting and raking leaves. After all the work is done they treat us to a tour of Tiger World so that we can get some special photos. 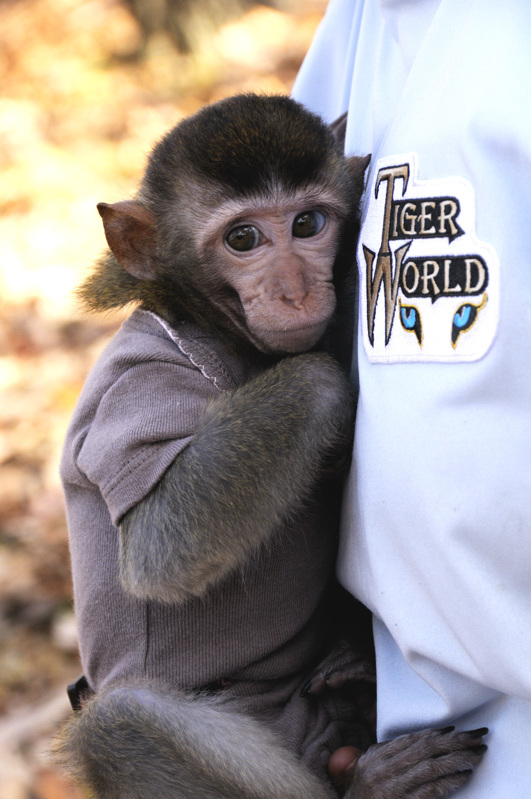 They brought out their new baby Snow Monkey for us to see, she was so cute! I was up on the Blue Ridge Parkway when the colors near Grandfather Mountain were at peak color. 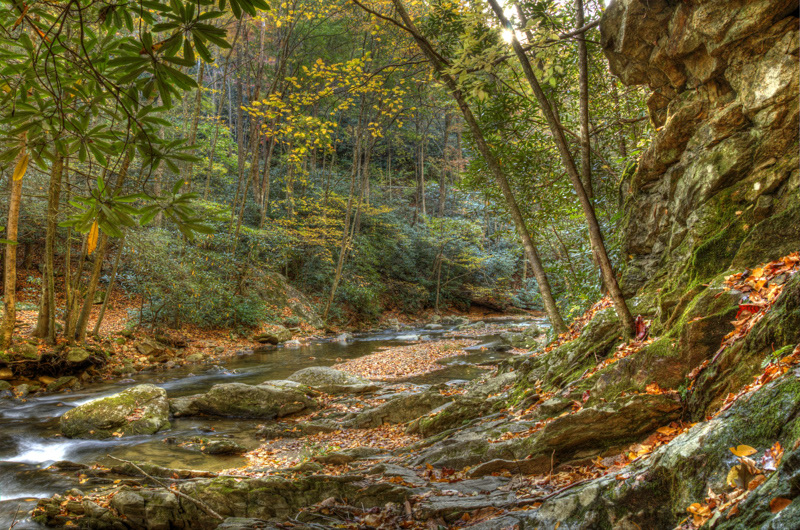 This is a 3 exposure HDR photo of a stream near Grandfather Mountain just off the parkway. I was up early to photograph the sunrise at the Folly Beach Pier. The sky didn’t cooperate for a colorful sunrise, but there was some nice golden light in the morning. 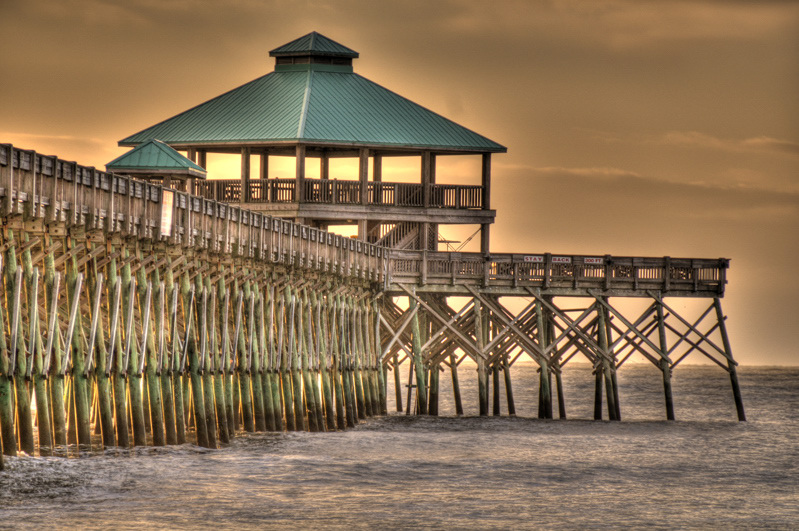 Here is the photo I took of the Folly Beach Pier in Folly Beach, SC. This is a 5i HDR photo. I went on a road trip with a friend to the foothills in South Carolina to check out the fall colors. This year the Fall colors have been very spotty. 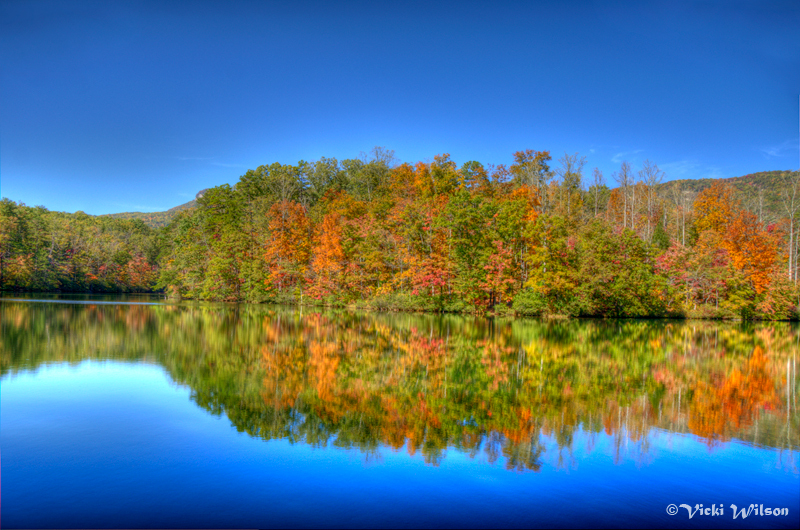 I did find some nice colors around Pinacle Lake in Table Rock State Park.